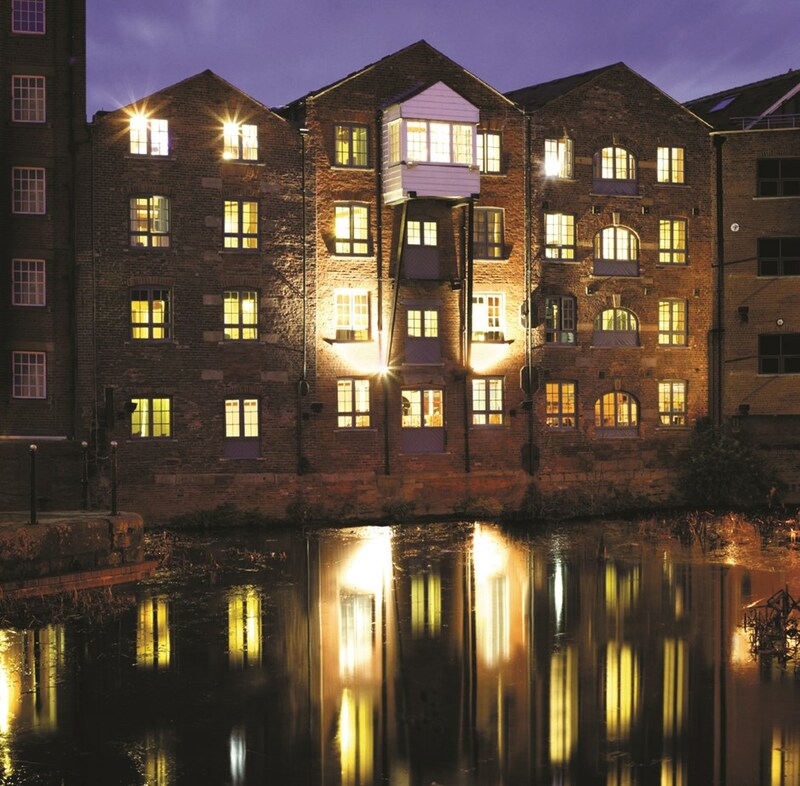 The boutique hotel 42 The Calls – a converted 18th century corn mill on the banks of the River Aire – is situated in the winding, cobbled streets of The Calls, once the heart of the industrial revolution in Leeds. The building was saved from dilapidation and restored by hotelier Jonathan Wix who converted it into a refreshingly unique 41-room, four-star hotel. The result? A place to stay with bags of character and a fine example of how to combine the old with the new. 42 The Calls’s location is certainly one of its strong points. Within a few minutes’ walk you can be perusing the shops in the stylish Victoria Quarter, hunting down bargains in the vintage stores of the Corn Exchange or eating out in one of the plethora of great restaurants in Leeds. It’s also very conveniently located if you’re arriving by train or bus, both stations only being a short walk away. It’s just as easy to travel to the hotel by car, but bear in mind there is no hotel parking. Cars have to be parked in a nearby secure car park – Markets NCP located on New York Street – which could turn out to be a bit expensive if you’re staying longer than a few nights. A 24-hour tickets cost around £15. Our room (a Director Room) overlooked the river and boasted a wealth of original features: big wooden shutters, exposed beams and brick walls painted an understated cream colour. It was surprisingly warm and homely, however, with cosy furnishings and upholstery in reds and rusts adding a splash of colour to the room. The room had all the usual hotel amenities, including a selection of teas and coffee, but instead of the run-of-the-mill additions, we had a bowl of fresh strawberries and cream on arrival, as well as handmade shortbread biscuits and Yorkshire fudge. An old wooden hatch, adjoining the room, was a wonderfully quirky touch (and very practical indeed) meaning that your morning paper or breakfast can be delivered without the porter having to knock on the door and enter the room. The stand-out highlight for us was the hotel’s breakfast. In keeping with its corn mill heritage, mini cloth sacks were filled with dried fruits, a selection of fresh fruit, seeds, different grains and oat clusters – ideal for making your own muesli. There was a selection of Kellogg’s cereals, however, for those who want to stick with what they know. And if you have a penchant for sausages, you’ll be in foodie heaven as there is a sausage menu to choose from, ranging from the classic cumberland to chicken and tarragon to the more adventurous venison. (I chose cumberland and pork and chive). If you don’t fancy a fry up, you can also choose from homemade waffles, Whitby smoked kippers, kedgeree or toasted crumpets topped with Yorkshire ham, poached eggs and mozzarella cheese. One thing’s for certain: you won’t go hungry! It is the unique touches like these which make 42 The Calls the place that it is – a hotel which treasures the buildings past, transforming the original features into a contemporary, but homely hideaway.